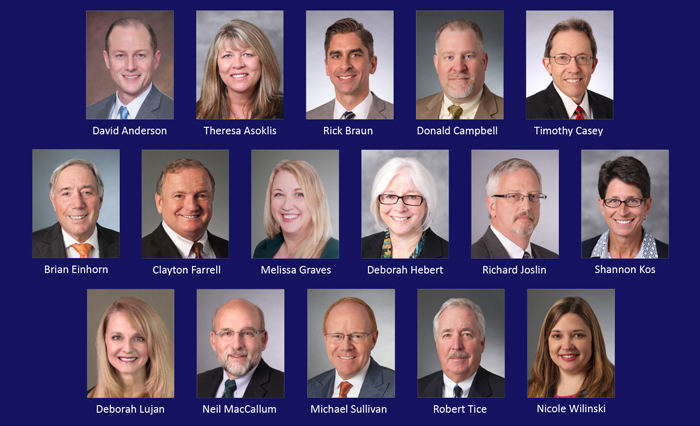 Collins Einhorn Farrell PC is pleased to announce that 16 of its attorneys have been named to the 2019 edition of Best Lawyers in America©. Best Lawyers is based on an extensive peer-review review in which more than 83,000 leading attorneys cast nearly 10 million detailed evaluations on the legal abilities of other lawyers in their practice areas. Because lawyers are not permitted to pay any fee to participate, inclusion in Best Lawyers is considered a singular honor. Additionally, Deborah Lujan has been named the Best Lawyers 2019 Litigation – Insurance “Lawyer of the Year” in Michigan due to her exemplary work in defense litigation. 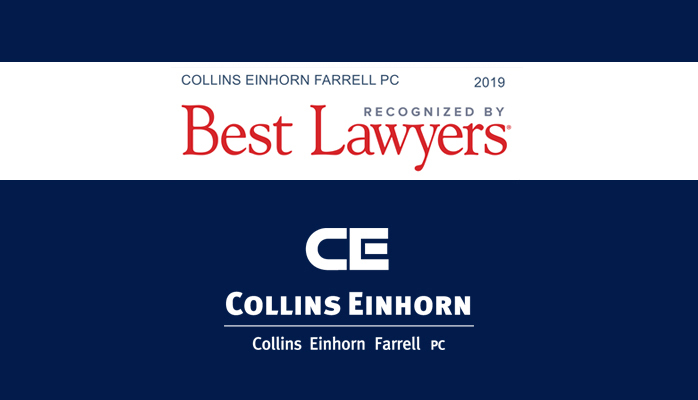 This marks the ninth year in a row that a Collins Einhorn lawyer has been honored with this prestigious designation. Founded in 1971, Collins Einhorn Farrell PC is a multi-specialty law firm headquartered in Southfield, Michigan. As one of the leading law firms in defense litigation, the firm provides expert legal representation in a wide variety of industries throughout the Midwest. The firm’s practices areas include professional liability, asbestos/toxic tort, insurance coverage, appellate, fire and explosion, general and automobile liability, grievance defense, medical malpractice, employment practice liability and workers compensation.